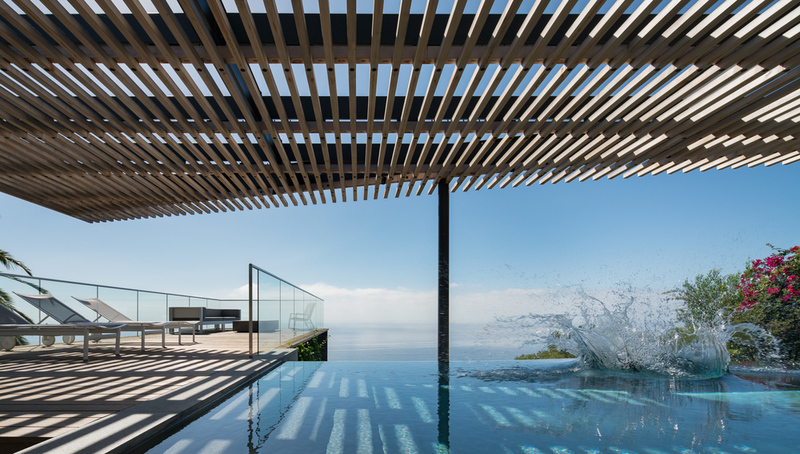 A south facing home overlooking the Pacific Ocean is reconfigured with the addition of a new pool, terrace, arbor and landscape. A visual 'frame' for viewing the horizon, the project brings together light, shadow, water and sky in an effort to blur the distinction between wet and dry, here and there, inside and outside, above and below. In addition to the natural site, there was an ambition to create a construction that spoke to the regions architectural context. Invoking the midcentury spirit of Craig Ellwood and the unabashed bravado of John Lautner, the new construction hovers above it's hillside site as an assertive object and a quite frame. In this way we learned how to build next to the sea.